There are certain pieces of clothing that every hunter should own. Not only to look great, but to also stay comfortable and protected when you are out in the field. Your clothing can also affect the success of your hunt, even if you are only missing one piece. To ensure that you have all of the clothing you need, here are the 9 essential pieces every hunter should own. Choosing the right pair of hunting boots is important, even if you plan on spending the day in a blind or deer stand. You still need to be able to walk to your destination, and in some cases track a game animal. The wrong pair of hunting boots can make it difficult to walk, and even sit or stand when you are waiting for the prey to appear. Feet can become chilled in cold temperatures or overheat in warmer weather, which can all ruin a hunting trip. Your hunting boots should fit properly, without rubbing your feet. The boots should also match the terrain and weather you are hunting in. 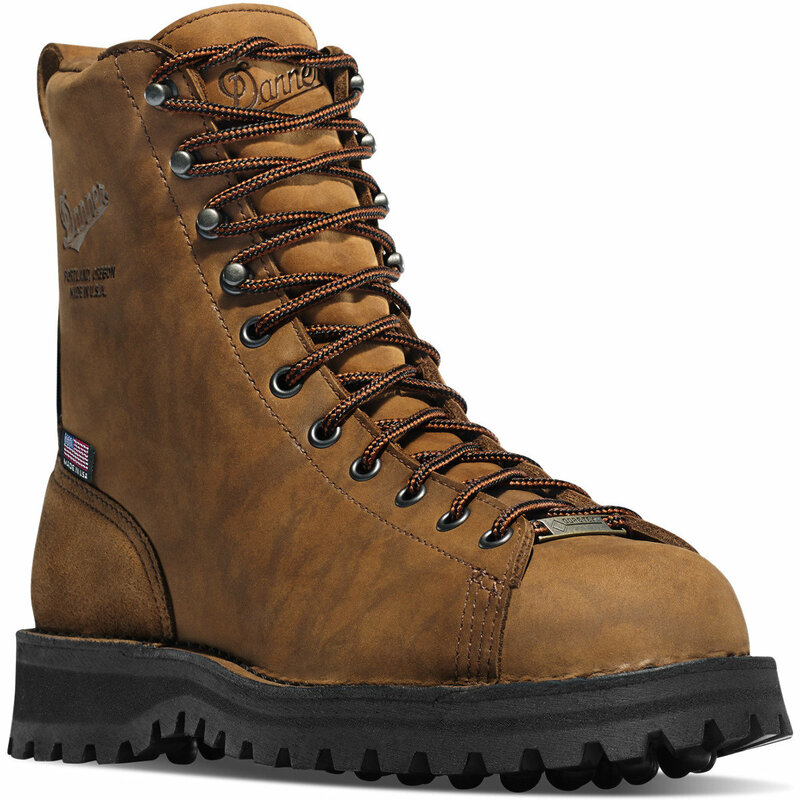 Insulated boots will keep your feet warm in cold weather, while a pair with breathable membranes will allow cool air through. Thick rubber soles will protect your feet on the trail, and provide traction on slick rocks and muddy inclines. Waterproofing should also be considered, especially if you are hunting in marshy areas. Your socks are almost as important as the boots, if you want your feet to stay comfortable and protected on hunting trips. The socks will keep your feet from rubbing against the sides and back of the boots, and prevent painful blisters from forming. The right pair of socks can also add an extra layer of insulation from the cold, or even keep your feet cool and odor free. Hunting socks made from polyester dry quickly when wet, and will help prevent foot odor due to sweat and moisture. Blended synthetic and natural materials are generally recommended to help feet stay comfortable in almost any condition, and there are several types to choose from. You do want to avoid wearing cotton socks on any hunting trip. The material easily absorbs moisture which is not only uncomfortable the resulting foot odor can easily startle the prey. No hunting outfit is complete without the right pair of pants. Not only can the pants be fashionable and comfortable, but the pair you choose should also be functional. You can find hunting pants in a range of colors, styles, and even camouflage patterns designed to help you blend into almost any environment. While you want your hunting pants to look great and fit your surroundings, the pair should also be able to protect you from the weather and other dangers on the trail. Branches and sharp rocks can cut or scratch your legs, and easily become infected. Long pants will protect your legs from injury, along with the weather conditions. Pants that are a size larger make it easier for you to wear layers and tuck in shirt tails, and longer legs ensure that you aren’t affected by cold breezes. Synthetic materials can provide additional protection against cold and wet weather, and some hunting pants are even designed to be waterproof. With the right pair of hunting pants you can stay comfortable in almost any environment. You might be surprised to learn that hunting jackets are not just for use in cold weather. These versatile jackets can protect you from the elements, and keep you safe on hunting trips. The long sleeves can prevent branches from scratching your arms, along with helping you stay warm and dry. Hunting jackets can also be found in an array of camouflage patterns and colors including bright orange, which is required by law in some states. Hunting jackets can be constructed from a variety of materials, and the right one for you will depend on the environment. Insulated hunting jackets will keep you warm when it is freezing outside, and some are also designed to be waterproof. Thinner jackets are ideal for use in cramped hunting blinds where space is limited, and these coats are also easier to move around in. If the temperatures change frequently you might want to consider a hunting jacket with removeable sleeves, and you also want to choose one that comes with plenty of pockets. Some hunting jackets and pants can also be purchased as sets, which can be convenient if you are looking for clothing with a matching camouflage pattern. When you are choosing a hunting jacket it is also important to ensure that you can freely move your arms, so you can still accurately aim and fire with the coat on. This essential piece of gear is important regardless of the season. It is easy to nick your hands when you are preparing game in the field, and a good pair of hunting gloves is almost a requirement when you are constantly drawing and firing a bow. The string can cause blisters and painful cuts and welts overtime that can be easily prevented with a pair of sturdy hunting gloves. If you hunt from horseback or with falcons the right pair of gloves is also required. You can find hunting gloves that are designed to cover your entire hand. These gloves are often insulted to protect you from cold, wet weather, and some come with textured palms to improve your grip. Hunting gloves with knuckle guards give you additional protection from injury, though this feature can cost a little extra. If you want protection in warmer weather or need to accomplish complicated tasks, a pair of fingerless hunting gloves might be just what you need. You can also find mittens that can be converted into gloves, which are perfect for hunting when it is freezing outside. You will always have gear to carry on a hunting trip, and the pockets in your pants and jacket are simply not enough. You need your arms and hands free when you are walking to the blind or tracking your prey along the trail. This way you can easily keep your balance or instantly reach for your firearm. Having free hands is especially important if you are hunting with a bow. While almost any backpack will do, you can find backpacks designed specifically for hunters. Generally constructed from durable materials, a hunting backpack is sturdy, durable and designed to last. Some factors to consider when you are looking for a hunting backpack include the size and number of pockets. You want it to be large enough to carry your gear, but not to big that it is difficult to take with you on the trail. Hunting backpacks with outside pockets are always convenient, and you might want to also consider one that is waterproof so your gear stays dry. Hunting belts are often overlooked, but this small item is an essential piece of clothing. Since it is recommended that you purchase a pair of pants a size larger, a belt is necessary to keep your clothes from falling down. Not only is this embarrassing, having your pants fall down when you are hunting is also dangerous. There are several types of belts to choose from, and it is often a matter of personal preference. Leather belts are stylish and durable, while cloth ones are easy to clean and often inexpensive. The color of the hunting belt can even match your pants, including the camouflage pattern. Another advantage of hunting belts is that some also come with small attached compartments. This makes it easy to store extra ammo, along with other small, essential items. Some hunters wouldn’t consider leaving for a trip without their suspenders. Occasionally worn in place of a belt, suspenders are generally comfortable to wear and can be found in a variety of colors and patterns. Hunting suspenders can help keep your pants firmly around your waist, and can also prevent loose shirts from flapping in the wind. If you own a pair of waders, a pair of suspenders will help keep the pants up and make it easy to take off when you are on dry ground. While some hunters prefer wearing either a belt or suspenders, in some situations you might want to have both. Even though hunting boots do come with laces, it might not be exactly what you are looking for. Laces that are too long can become snagged on obstacles and easily untied, which can be dangerous when you are walking on the trail or firing at your target. Hunting laces made from slick materials can also be difficult to keep firmly tied, which is also a problem when you are in the field. It is important to make sure that the hunting laces are the appropriate length, and will keep your boots securely on your feet. The right laces will also provide a little extra support, which is always appreciated when you are covering uneven terrain.